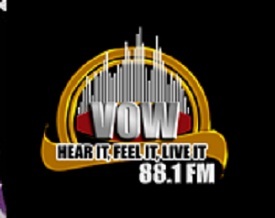 VOW FM Live Streaming Online . Vow Stands for Voice of Wits . It is the lifeblood to one of the largest tertiary institutions in South Africa, Wits University and broadcasting 24 hours a day communicating and interacting on a daily basis with at least 28 000 students and staff as well as the various communities in and around the University foot-print. VOW FM uses a predominantly hot contemporary format focusing on Dance, R&B, Rock and Pop, House and Hip Hop. The station is committed to not only providing a quality broadcasting service but also to the education of media professionals. Its footprint extends to Braamfontein, Parktown, Auckland Park, Westcliff, Newtown, Pageview, Fordsburg, Melville and the central CBD.